I am looking at him and thinking – this guy will be the death of me. Many have tried before, but I somehow know he’ll succeed. With a huge smile on his face – one you simply cannot argue with – he’s making me do things I never pictured myself doing before. I’m out of breathe and my knees are shaking. How much more of this I can handle I wonder? Last time I saw him, my entire body was in pain and I literally couldn’t walk for two days. I know I will leave in just about an hour, but I will be back few days later… I simply can’t stay away for too long. He melts me like an ice cream on a hot summer day but I am already an addict and I need this. Again and again. 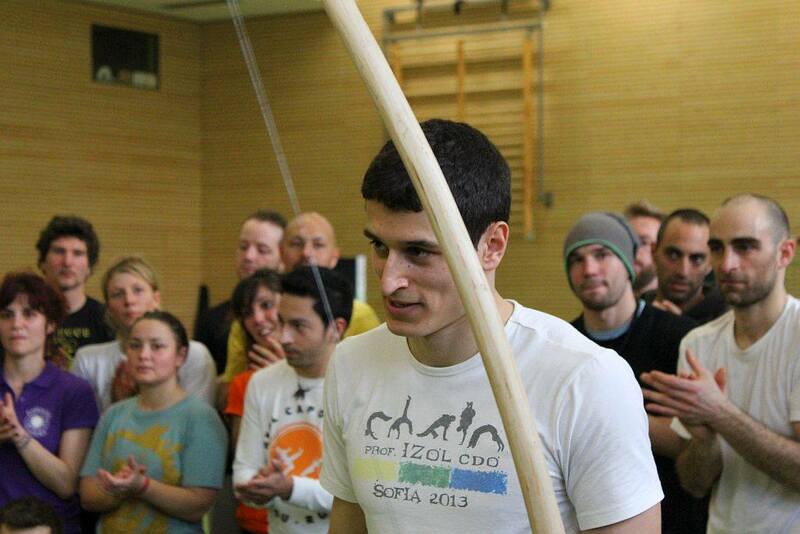 Now that I’ve got your interest, let me introduce to you my Capoeira teacher – Kosta “Parafuso”. Now, to get this straight – we’re not talking about romantic emotions here (though I do realize that the above paragraph sounds a little bit 50 shades of gray-ish). Even though romance is not involved, everything written above is the absolute truth. After my very first Capoeira class I really couldn’t walk and barely survived the second time. Despite this, the way the classes are lead makes you feel as if you’re playing a game! At the end of our second class Kosta instructed us to form two lines and a sort of a plait with our legs and do sit ups. While he was explaining it in detail, I couldn’t help but think: “Does this guy do anything in the conventional way?” I think the answer to this one is “No” but I’m pretty sure that’s exactly what makes things so awesome and why I can’t wait to go again! Having fun like a 5 year old!